Samsung Galaxy Fold has pushed a lot of competing company to work as we've Motorola almost ready to launch it foldable phones, I guess what actually prompt action was the new two foldable phone announced by Samsung adding to the first released. Don't forget the race was not only for the Samsung company, we learnt that Huawei is also working on Mate X. So we're considering Motorola to be the second in line releasing foldable phone. 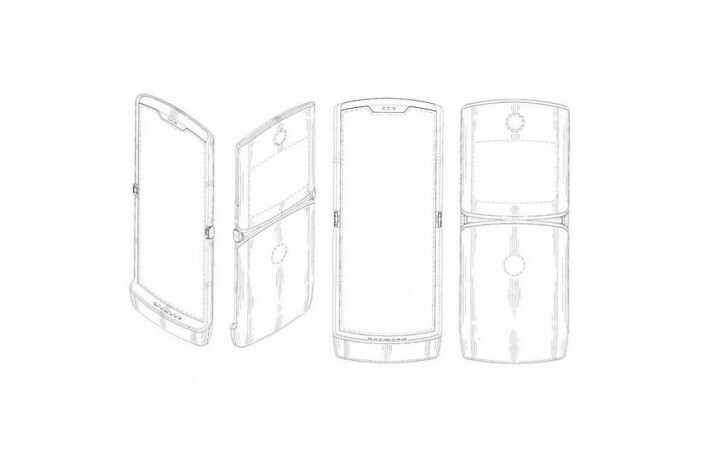 The rumour revealed that the new Razr flagship will keep an iconic shape and maintain the ability to be fold inside and out just as we have seen from galaxy Fold. The phone is code-named as Voyager offering a 6.2-inch panel with 876x2142 resolution, while on the outside there will also be a secondary display with 600x800 resolution and yet unknown size. It is being powered by Snapdragon 710 chipset, paired with 4/6GB of RAM and 64/128GB of storage. It quite very sad seeing Razr being powered by 2,730 mAh which seems very small compared to other though Motorola is known for lesser battery capacity but not expected in this because of it function. The phone will be in black, white, and gold colour option and will be available at the price of $1,500 as rumoured, which makes it much cheaper than Samsung's Galaxy Fold or Huawei's Mate X. Looking at the skeleton picture shared, Razr phone folding system is different from Samsung Galaxy Fold, Razr is being vertically fold in and out. And seems to have fingerprint sensor and camera at the rear. Finally, their is no word on when it is going to be launch for now, just be prepare and keep looking out if you want to have one.